Opening times: 11am – 5pm. Last entry 4.30pm. The tea room is open for light lunches, soft drinks, ice creams, cakes, tea/coffee. Group catering requirements must be pre-booked. We are a small family business and all food is freshly prepared. For individuals and family groups, house tours are conducted on Sundays and Bank Holiday Mondays at 11.45am and 2.15pm. Booking is not necessary. Groups of less than 20 people: This will incur the minimum charge of £135 per group; this is in addition to the garden entrance. Groups of more than 20 people: House tours for groups of >20 people is £14.00 per person, including entrance to the gardens. 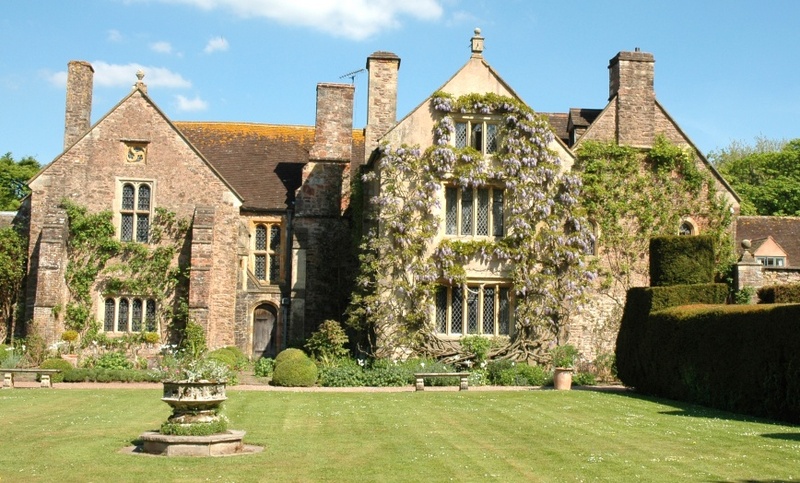 Tours of the manor house can be arranged for groups but advance booking is essential. Tours last approximately one hour and 15 minutes, including a health & safety briefing beforehand. Please be aware that Cothay Manor was built in the 15th century and as such, we have some uneven floors and steep stairs. We provide as safe an environment as we are able, but anyone whose mobility is compromised must speak to us before booking a house tour. Garden tours can be booked if arranged in advance. The owner and garden designer, Mrs Mary-Anne Robb will conduct a guided tour of the gardens for groups. The cost is £100 per group. Season tickets are available, valid for a full calendar year. This allows ticket holders to benefit from a full six month season regardless of when the season ticket is bought. Single: £21, Joint Membership: £38. Cream teas – A large home-made scone, strawberry jam and locally produced clotted cream with a pot of tea. Delicious! The cost is £6 per person. Minimum order of 12. Tea and cakes: A variety of locally hand-made cakes can be provided with a pot of tea for £5 per person.